With his work in Montana completed now that the Callahan-Warren feud has ended in marriage rather than bloodshed, Degan Grant sets out for California because it is far away from the home he wants to forget--until the US Marshal who saved his life calls in a favor. All Degan has to do is apprehend three outlaws on the marshal's list and turn them over to the law. Easy enough, he figures, for a man no one wants to tangle with. 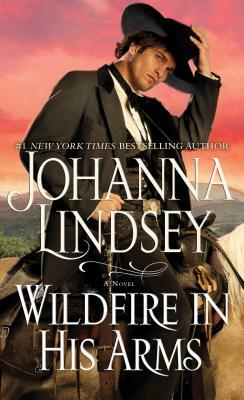 #1 New York Times bestselling author Johanna Lindsey's passionate new tale about a gunfighter running from his past who finds his future when he escorts a beautiful outlaw to her hanging. Featuring one of Lindsey's most intriguing heroes: the dangerous and mysterious Degan Grant from "One Heart to Win."